Magic Lantern is an Open Source project that was created to provide extended features and more user control to the Canon 5D Mark ll camera, specifically for videography purposes. The project has since been extended (no surprise) to the 5D Mark lll camera as well, and offers some advantages even for still imaging. Magic Lantern is firmware that is run on top of the Canon firmware. As such, it involves “hacking” your camera to install it, but has a history of successful use without problems. What’s the Big Deal Now? All this now becomes much more important, as Magic Lantern has recently been making progress that has captured the interest of the entire videography industry. They have moved on from “short burst” video capture to continuous capabilities, and now are able to capture 14 bit RAW data from the 5D Mark lll. The results of this are more than interesting; they may well be groundbreaking. The latest captures with early builds of this RAW firmware extend the quality of what the 5D Mark lll can manage to a level that appears to exceed other affordable video options such as the Panasonic GH2 and GH3; and even beats the Canon C300 dedicated video camera. This makes affordable options such as the Black Magic cameras much less tempting, and could even have an impact on sales of more advanced cameras such as the Camera RED models. Here is a screenshot I captured directly from the sample video demonstrating the capabilities of this combination. Be sure to click on the image to see it at full resolution. Whether you want to see that much lose dog hair in detail is questionable, but the ability to do so is exciting. 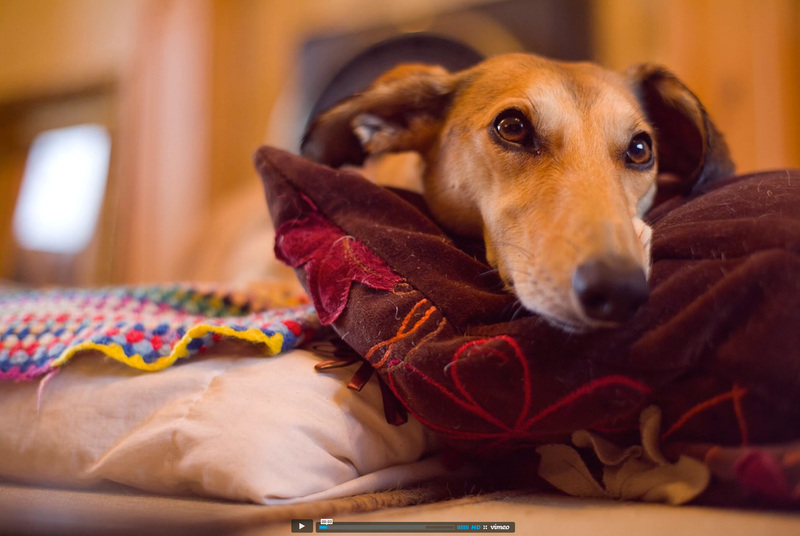 To see sample video from the 5D Mark lll using the latest Magic Lantern firmware, click HERE. Also, for more details and screenshots, take a look at this article. What Does This Mean for the Future of Video? It’s too early to make any grand pronouncements, but the value of the 5D Mark lll as a video tool has just increased significantly. The balance of camera cost versus quality, and particularly bit depth and resolution, has shifted as well. It’s only reasonable to expect this to put pressure on Canon to create RAW firmware for the Mark lll themselves (or other means of exporting high bit video in flexible resolutions), or else lose development control for their own products to third parties. Certainly Canon, and all other competitors in the DSLR video category will need to adjust their plans for future products accordingly, as will companies developing affordable dedicated video cameras, again starting with Canon, but most notably Black Magic, whose value proposition is largely defined by the low cost of their products. And Finally: What about Video Editing Software? Video editing software developers are racing to incorporate high bit and high resolution into everything they offer. This firmware option will increase the number of cameras in use which can shoot RAW by a large percentage; which in turn will increase the pressure to be able to color correct and process RAW high bit video. With high bit capture, its less damaging to white balance in post processing, and there is more headroom for color LUTs and camera calibration. This is all to a good end, and will settle into the video workflow over time. But there will be bumps in the road during the race to get there. The saying is that you can’t stop progress. And yet we aren’t always happy about it. Many of us live in towns or neighborhoods which once were quite self sufficient, with services from barbers and hairdressers to hardware and grocery stores. Now most of us have to travel miles to reach larger, more impersonal, alternatives to these long-gone local shops. That’s progress. The digital revolution has been a main focus of progress in the last couple of decades, and many of the professions that have been “digitized” have suffered as a consequence. Unless your digitally impacted line of work is licensed and mandated, you probably earn less, and have less job security, than in the analog days. Photographers and graphic designers have been hard hit in this manner, and at the same time that their livelihoods have been impacted, their responsibilities have mushroomed. They learned a range of new and foreign computer skills, studied everything from prepress standards to color management, and those that survived have developed some type of balance in the digital world. The description above attempts to set the stage for the angst that has rocked the photo and graphics community since Adobe, King of imaging software, announced that it is moving virtually all of its graphics, photo, and video applications to a subscription-only model. Adobe did not do this lightly, nor without research and testing. Its not something that user response it likely to change: Adobe has seen the future, and this is their response to it. And the plans Adobe is offering are not unreasonable, for many users. One or another option will meet the needs of many at reasonable prices, and are actually a very good deal for some. But end users have still been very troubled by the change, and have been expressing their angst in various on-line forums in quite colorful language. I will apologize in advance for using this term, but there is really no other description for what Adobe is doing than “paradigm shift”. Its a change in the basis underlying the whole field of imaging and design. It feels, to many, as though, after years of owning their own homes, officials have knocked on the door and told them that home ownership is no longer allowed, and that they will need to pay rent in the future. Those who firmly believe in ownership, of not owing anyone anything, of buying what you can afford, as you can afford it, and making your purchase decisions carefully, may certainly find this troubling. I have no intention of pitching the Creative Cloud options to Adobe users, not today at any rate. Nor do I plan to raise my voice in protest; I believe Adobe is sincere, serious, and probably right in what they are doing. But I did want to address the angst I am hearing in the voices of many users. Much of this is a matter of how we think about things, and if some concepts from me can ease anyone’s concerns, than I’ll consider that enough. We have never actually owned our software. We bought it, and in some cases even the right to resell it, under a “shrink-wrap license agreement.” Software is written, like a novel, and unlike most things we buy, is covered by copyright, on the basis of it being written. The fine print in your license agreements have long told you that you are licensed to use this software under certain terms; this is not ownership in the sense that you can own a horse or a baseball bat. Owning software has always been a cooperative venture. I have recommended against purchasing products from companies in financial difficulty, which might not be around to provide bug fixes, updates, and new versions over time. 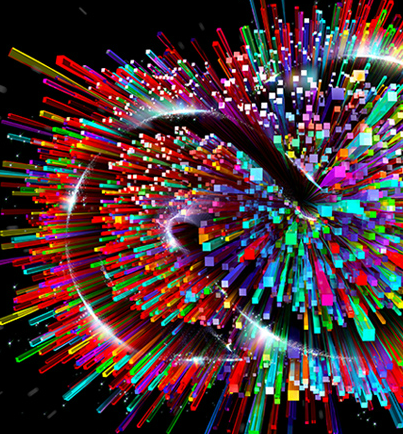 Adobe recently publicly released the source code of Photoshop 1. I downloaded a copy. Its availability underscores the fact that what Photoshop was then is not of much use now, it’s the movement forward, and all the versions in between (which I sometimes awaited in agony, when my workflow didn’t really work until a new feature or function was released) were a work in progress. “Owning” Photoshop 1, which I now own in a far more concrete manner than I did in its heyday, since the actual source code is in my hands, means nothing today, except as a curiosity or an educational tool. The future of design and photography, more so than most other fields, depend on the prosperity of Adobe. If Adobe disappeared tomorrow, videographers would complain, as they moved up to Avid, if they could afford it, or down to Final Cut X if they could not. Non-Adobe options for graphic design, vector art, page layout, and photography are far weaker, and we would all prefer that Adobe remain in business, even if we would simultaneously hope for some competition to keep prices reasonable and features moving forward. We are in danger of losing our best newspapers, with their failure to transition to a digital subscription system that people will accept. Adobe’s position in photo and design is bigger than any one newspaper. In fact, without InDesign, Illustrator, and Photoshop, the remaining newspapers would have quite a scramble to continue producing papers. So the financial health of Adobe, and its move forward into the type of financial model that appears to be the future for higher value applications (as opposed to low cost Apps) is important for all of us that have drives full of InDesign Layouts, Catalogs of Lightroom adjusted RAW files, Layered Photoshop files, Adobe Postscript fonts, and Illustrator images. 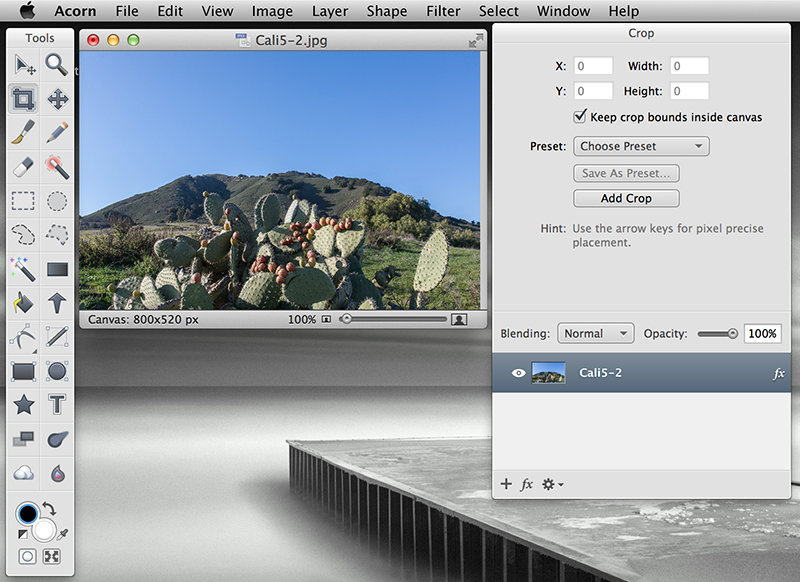 Acorn is a basic image editing application for the Mac from FlyingMeat.com. Its standard price is $49.99US, but it is specially priced at $29.99 US during the month of May 2013. It can be purchased from the developer, or from the Mac App store; with all the usual advantages and disadvantages of each method. Where’s the Market for Acorn? Acorn uses the tag-line: The Image Editor for Humans. While that line casts me on the role of non-human, I understand perfectly what it means. Apple owns the low-end of this category with iPhoto, for organizing images, and doing simple, mostly global, corrections to them. And Adobe owns the high-end with Photoshop and Lightroom. In fact, the only Mac application that comes to mind in between these two extremes is Adobe’s Photoshop Elements, which is a stripped down version of Photoshop for non-power users. Acorn certainly fits in the same zone as Elements, without the name recognition that Photoshop offers, or the value of having the app you’ve been learning be an exact subset of the app you may end up graduating to, as is the case with Elements and Photoshop. Since virtually all non-Apple, non-Adobe image editors are on Windows, or from Windows, it is typical to expect a rather unattractive look and interface in such programs. Acorn, refreshingly, looks like a well-designed Mac app. With its most recent update Acorn uses much the same general layout as Elements or Photoshop, with a double-row vertical tool palette on the left edge of the screen, and further tool control windows to the right of your image. While it is not an actual subset of Photoshop, a Photoshop user has no difficulty navigating the app, and learning in Acorn would not leave a new user at a big disadvantage in moving to Photoshop later. If you are not the type of user that feels a need to work in Lab space, convert images to CMYK, or perform other power functions, Acorn might well fit your more-advanced-than-iPhoto needs. 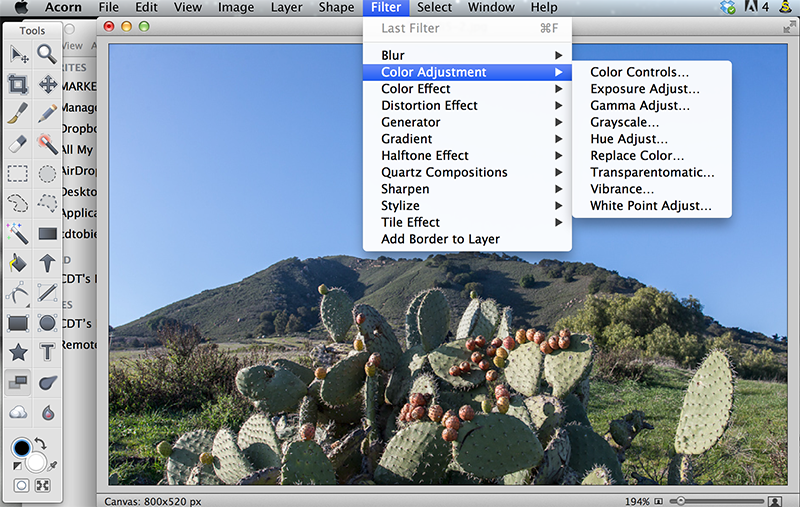 It offers many of the typical basic and intermediate functions, including layers, masks, and even alpha channels; as well as most common selection, cropping and adjustment functions. One interface element that takes a moment to get used to is that many of the tools found in the Image column of Photoshop’s menu bar are under Filters in Acorn. We’re used to looking under Filters for Blur, Sharpen, and Stylize effects; in Acorn you’ll find Color Controls, Exposure, Gamma, Grayscale, and other such items there as well. What about HighBit Files, and Other Formats? Acorn has no trouble opening images saved at 16 bits per channel, or saved as Tiffs with common Tiff compression formats. Pings are also supported. Even layered Photoshop (.psd) files. So most formats the typical user will come across are covered. Does It Deal with RAW? Acorn is capable of opening RAW files in at least some formats. Its RAW converter is simple, and best used for emergency situations where a RAW image needs to be viewed, or a quick Jpeg created from it, and a full fledged RAW editor is not convenient or available. The controls in Acorn are not powerful enough to be effective in adjusting RAW images using the SpyderCube. HSL controls for use with SpyderCheckr are also lacking. So consider Acorn not as a RAW converter, but a RAW converter substitute. This question is of special interest to Datacolor customers. Color presents identically on-screen in Acorn and in recent versions of Photoshop. 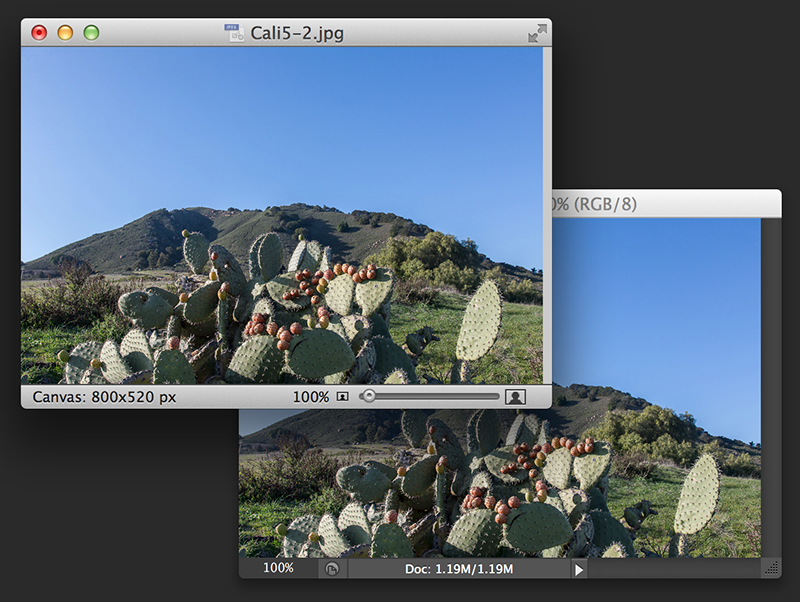 sRGB and ProPhotoRGB versions of the same image present identically in Acorn as well. So clearly the application is utilizing the display profile; and converting from the tagged image space to the display profile correctly. The printing dialog from Acorn presents are the standard versions accessed other applications for the same graphics printer, allowing a custom printer profile to be selected. Printing sRGB and ProPhotoRGB versions of the same image gives matching results; so printer color management seems to be functioning correctly as well. Acorn even has an Assign Color Profile command. There is no matching Convert to Color Profile command, so this limits users from converting the pixels in an image from one color space to another (such as the conversion from sRGB to ProPhoto used for the tests above), and allows only the more practical task of setting the correct color space for an image which is either mistagged, or more likely untagged. Assigning sRGB to the ProPhoto version of the test images used for this article instantly changed the colors to be incorrect, as would be expected, and reassigning ProPhoto instantly corrected them again. More and more photographers are going without a copy of Photoshop, given its price tag of several hundred dollars. Many of these users are using the much more affordable, and for most photo tasks much more practical, Lightroom to organize and edit their images. There are also the users still working in iPhoto, but who have reached the point of wanting more advanced features than iPhoto offers. 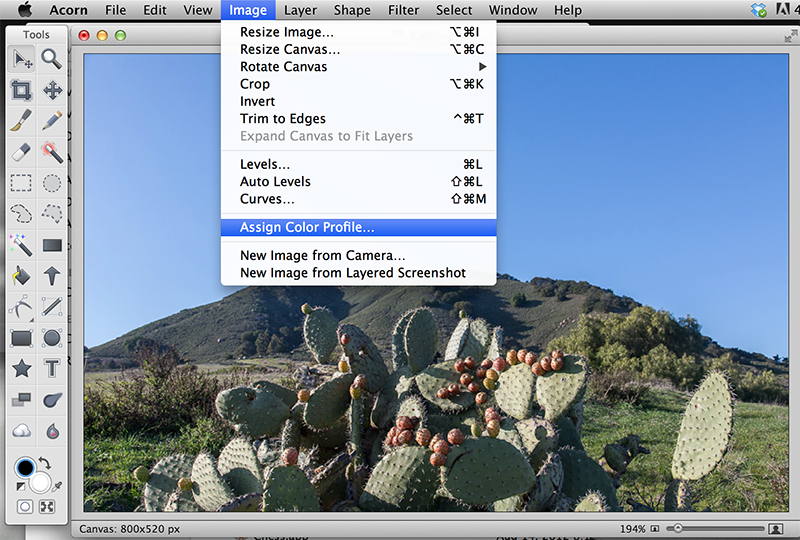 Such users have the need to occasionally make localized edits, layered files, composited images, images with text added, and other such tasks not covered by Lightroom or iPhoto. Acorn is a very legitimate option for both these cases. It can even be set as the optional second editor from Lightroom, to open Lightroom exported files directly into Acorn for pixel editing. With Photoshop Elements listing at $99US, and even on special tending to run well above Acorn’s price, Acorn is certainly an easy-editor worth considering.